You may have been wondering where Torro Forms went after it had become so quiet since its 1.0.0-beta.8 release. Now we’re proud to finally have an exciting announcement for you! 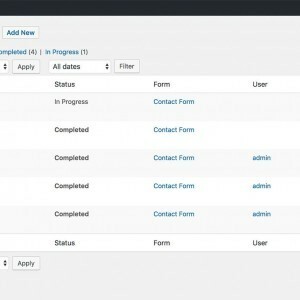 We have been working hard over the past year to completely rewrite the foundation of our form builder plugin. While this doesn’t commonly happen in the beta phase of a plugin, we just felt like we could serve you a better plugin than it was prior – it wasn’t quite there yet. So while the upcoming version will simply carry on with the previous version numbers (it will be 1.0.0-beta.9), it doesn’t have a lot in common with those earlier releases. With the new release, we’ll continue the beta testing cycle. Only bug fixes will go into the plugin until the full 1.0.0 version is released. 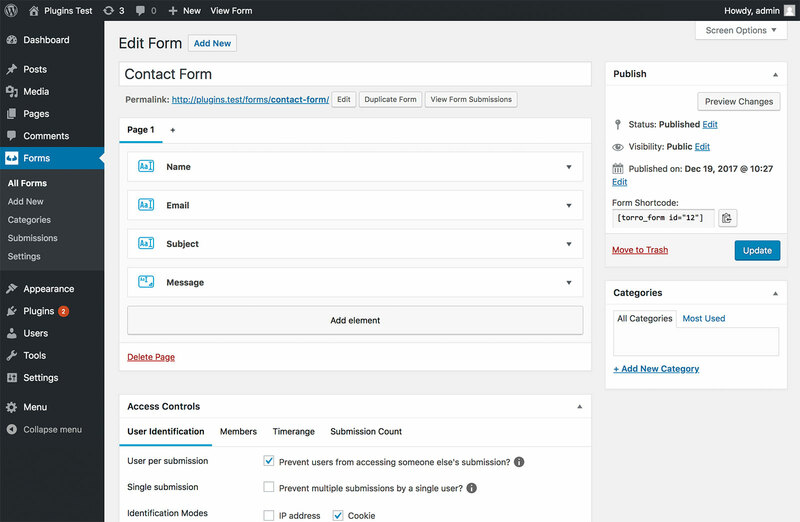 Here’s a sneak peek of what the new form builder experience looks like. Form submissions are now managed in their own screen, and thus are no longer cramped into the form builder screen. You can granularly manage the submissions in a table view, just like you are familiar from most WordPress content already. You can even go into a submission and edit all its details. Form submissions are now persisted with the database immediately, even if they haven’t been completed yet. This change hardens against the loss of data, and the new functionality even allows a user to pick up working on a submission that they have initiated earlier. A setting allows to automatically delete submissions that haven’t been completed after a certain amount of time, to keep your database clean. A few existing form fields have been merged and simplified to improve usability, and a few smaller new features have been introduced as well, such as a new checkbox element type or a submission count access control for forms. REST-API endpoints as well as WP-CLI commands are available for all content types that the plugin introduces. Performance of the form builder plugin has improved significantly, by using a granular cache layer around all database requests. Form meta and setting fields now support dependencies. 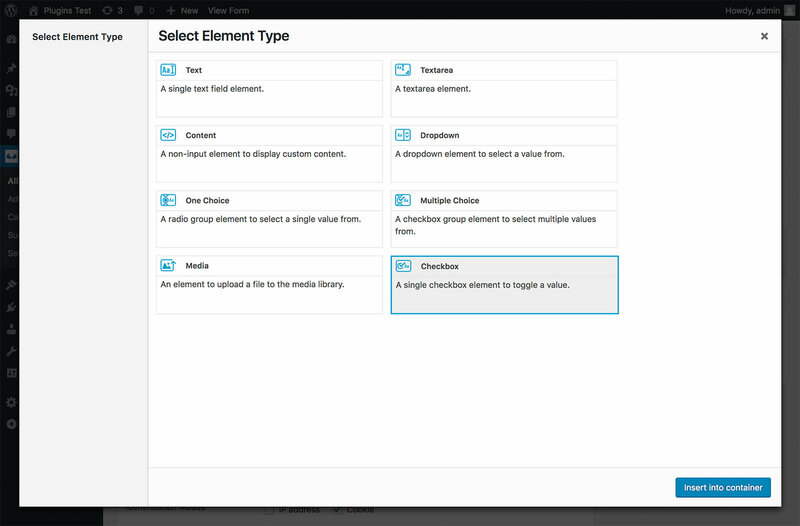 Form element types can now contain multiple fields to store multiple values. The entire codebase now uses more modern practices, is more structured, easier to follow and easier to extend. Extensions can include modules, following a flexible, but precise structure from the provided plugin core classes. A fields library is used for all occurrences of fields in the plugin so that you only have to get familiar with one common foundation to extend. Selecting an element type now happens through a clear, accessible and future-proof modal. Submissions can now be managed in their own screen. You can even add or edit them. The available modules have been restructured and a few new settings are present. As a user, you can continue to use the form builder just like before. While some data structures and also the database schema have changed, the plugin includes migration routines for all core content. Those will automatically be executed as necessary. The only thing you need to be aware of is that the plugin’s requirements have changed: Your WordPress site needs to run on PHP version 5.6 and WordPress version 4.8 at least. If you’re not sure which PHP version your site is running, please ask your hosting provider for help. It’s likely that you are already on one of these supported PHP versions though as any older versions have been out of date for quite a while. As a developer, be aware that extensions for prior Torro Forms versions will most likely no longer work with the new release due to the complete rewrite. If you have written a custom extension, we recommend you to stay on the old plugin version initially and adjust the extension code to account for the new structure. To make developing for Torro Forms as easy as possible, we have made available a separate developer-targeted site that includes tutorials as well as the full code reference. Furthermore, our extension boilerplate provides a solid base for scaffolding your extension. If you’re interested, you can also try out the new version now by using the master branch in its GitHub repository. We’re sorry about the inconvenience that you are required to modify any existing extensions, but it’s all for the best of Torro Forms in the future. 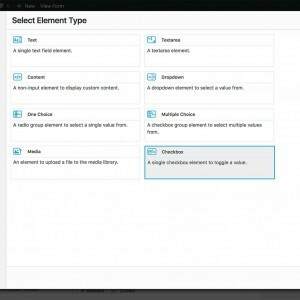 We felt like the form builder rewrite was necessary at this point, to have a solid structure for the future. Still in the beta phase, it was much better for it to happen now than any time after the full version release. From 1.0.0 and beyond, we will value backward-compatibility as much as WordPress core does. 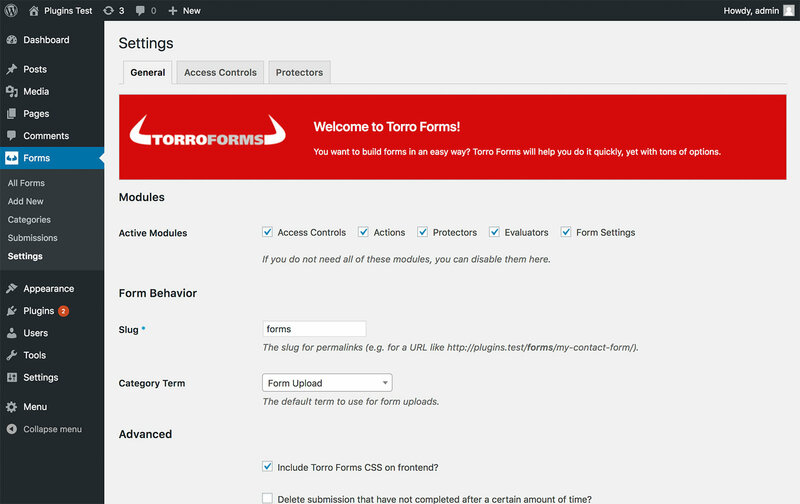 The completely revamped Torro Forms version 1.0.0-beta.9 will be released on April 16th. We plan to have one more beta release following that, about two weeks later, then going into RC phase. The full 1.0.0 version, as mentioned before, is targeted for May 21st. Please test the new beta thoroughly and let us know about any issues you run into! can you please send an email with the Link to your form to support@torro-forms.com? Then we can take a look at this.